Thanks to innovations in manufacturing processes, more and more thermally-efficient products have hit the market. As a result, many homeowners are switching to products that will help drive their utility costs down. Each glass option gives varying levels of heating, cooling and ultraviolet (UV) protection. All our windows feature a glass coating system built with cutting-edge technology that’s the best in the industry. Our best glass package is the High-Performance™ Low-E4® SmartSun™ glass, which is 70% more energy efficient in summer and 45% more energy efficient in winter than regular glass. It also blocks 95% of harmful UV radiation, the culprit behind premature fading of furniture. Our company uses a unique Fibrex® material that combines the insulating property of wood with the low-maintenance nature of vinyl. Fibrex frames offer insulation that is 700 times better than aluminum, helping boost your home’s comfort while cutting down on your energy bills. To deliver long-lasting performance and protection, a window needs to fit perfectly in the wall opening. Thanks to our flawless window replacement process, you won’t have to worry about an imperfect fit and drafty windows, which drag down the comfort of your home while causing your energy consumption to spike. 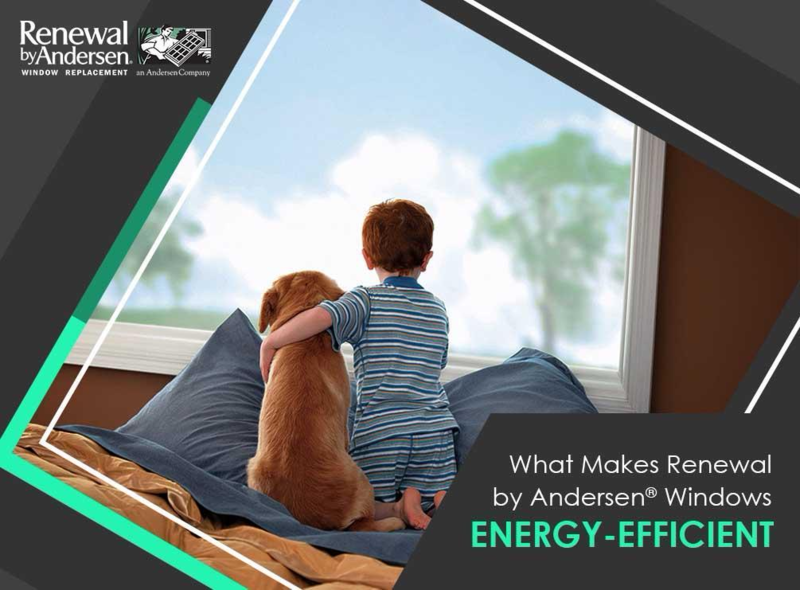 Renewal by Andersen of Spokane, the leading window and door replacement company in the local area, offers excellent products and services that meet the stringent standards of the industry. Our team will help you customize each unit depending on your needs and preferences. Call us today at (509) 202-4090 to learn more about our products and services. We are local window contractors serving residents of Spokane, WA, and nearby areas. "I recently had Anderson replace three windows in my home. Not only do I love the new windows but the young men who did the job; Adam and Ryan were amazing. Not only were they very professional, they were personable and skilled craftsmen. Thank you so very much for a wonderful experience."